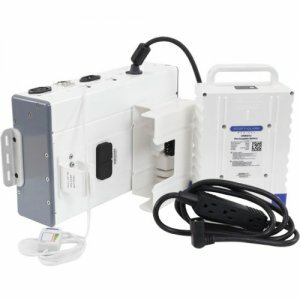 Easily add AC power to a new or existing non-powered Ergotron cart! This upgrade kit provides plenty of energy for your cart's on-board computer hardware. The system easily attaches to the t-slot channel of current StyleView carts; with accessory brackets, it is also compatible with legacy StyleView and other Ergotron cart models.